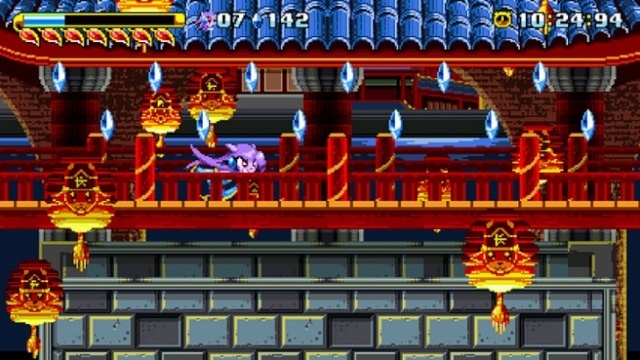 Developed by Galaxy Trail Games Freedom Planet pays homage to fast-paced platformers of yesteryear, namely Sonic The Hedgehog's SEGA Genesis outings, however elements of certain other classics from the Genesis era are also present! The gameplay itself is quite hectic and will test your gaming skills. 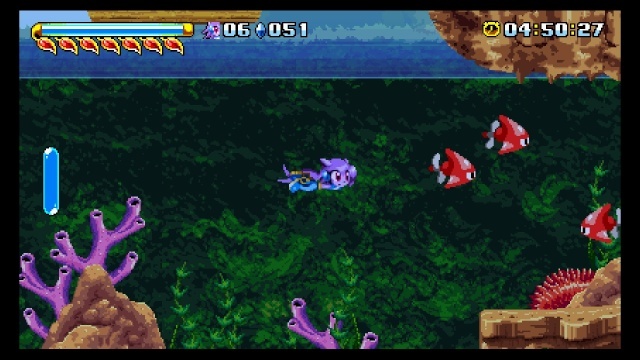 The bosses are also quite impressive and will quickly remind gamers of the classic titles from Treasure Games. The stages themselves are basically Sonic The Hedgehog at heart and soul, but overall their design is actually better than what Sonic's Genesis titles possessed. This game did start as a Sonic The Hedgehog fan-game after all, but the game takes the classic formula and makes it better in every conceivable way! There is no doubt in our mind that if this were a Sonic The Hedgehog title it would shift millions of units! The controls are smooth and easy to learn, and the Off-TV-Play works flawlessly with this game! Now for the negative aspects of the game. First of all the game has quite a few minor glitches as well as a major game-breaking one that occur if the game is downloaded directly to your Wii U menu, so using a compatible hard-drive for your Wii U is highly recommended if you plan to download this game. Graphically the game is gorgeous and the authentic Megadrive/Genesis visuals will definitely impress retro gamers. The background has many layers of details which go beyond the scope of most indie games which gives the game a very polished look. The music in Freedom Planet is among the best we've ever heard from an indie title, in fact it's easily as good as Shovel Knight's soundtrack! Overall the game is perfect by an audio-visual standpoint and is nearly perfect in every other aspect as well! 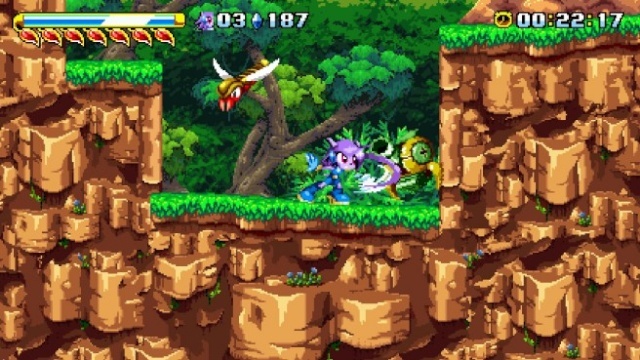 With superb retro-style gameplay, exceptionally good controls, and flawless visuals as well as one of the best soundtrack's we've ever heard in an indie title, Freedom Planet is one of the very best games on the Wii U eShop, though it has a few minor issues, however regardless of those issues we still give Freedom Planet a perfect recommendation! Great review! That perfect score is well deserved. Sweet! I'm looking forward to trying this one, as is @BurstDashV8! Why so few comments? This game is one of the best on the Wii U retail or otherwise! @Rena Ryuugu Fanboy It's baffling really. @Reanfan excellent review! @GalaxyTrail awesome game y'all! @Rena Ryuugu Fanboy @Kain I'm also surprised by the lack of interest in this game. Good review. Was the dlc ever released in the Wii U version of Freedom Planet? @Nintendobuddy64 Yes it was surprisingly. Anyway great review as always @Reanfan! @Warlock in love Thanks and a cookie goes to you for answering @Nintendobuddy64 's question.